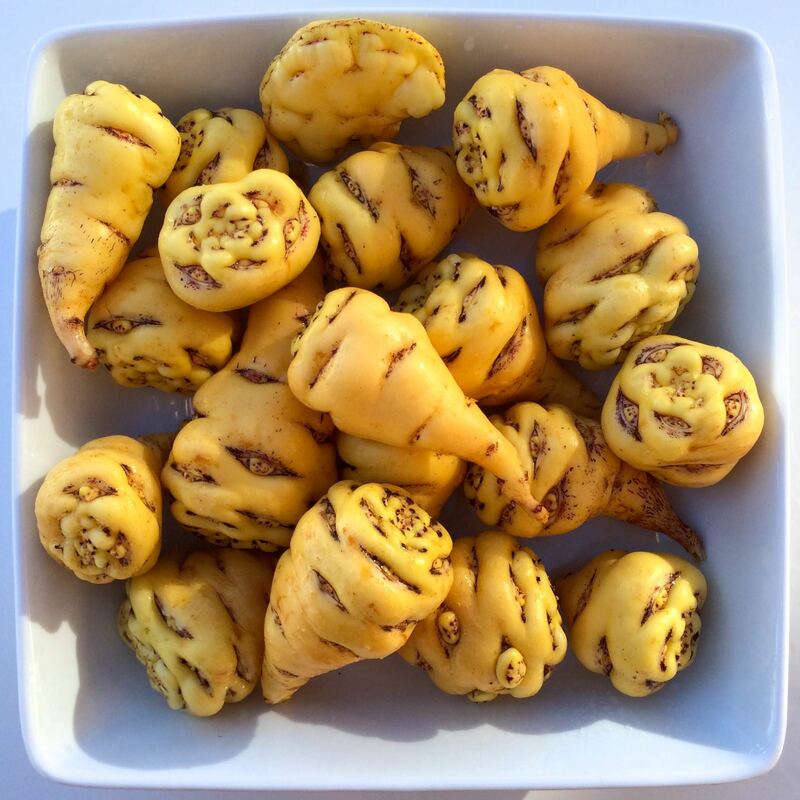 No root & tuber sales in 2019 Click here for full status. Lima is presumably a Peruvian heirloom variety, but I don’t know anything else about it. Lima has a very nice flavor that is slightly sweet with a subtle caramel aftertaste. It has no cabbagey flavor at all. The flesh cooks soft and the yellow color is retained through cooking. Lima plants are fairly small, reaching about seven feet on trellis. Yields are modest, reaching three to four pounds. 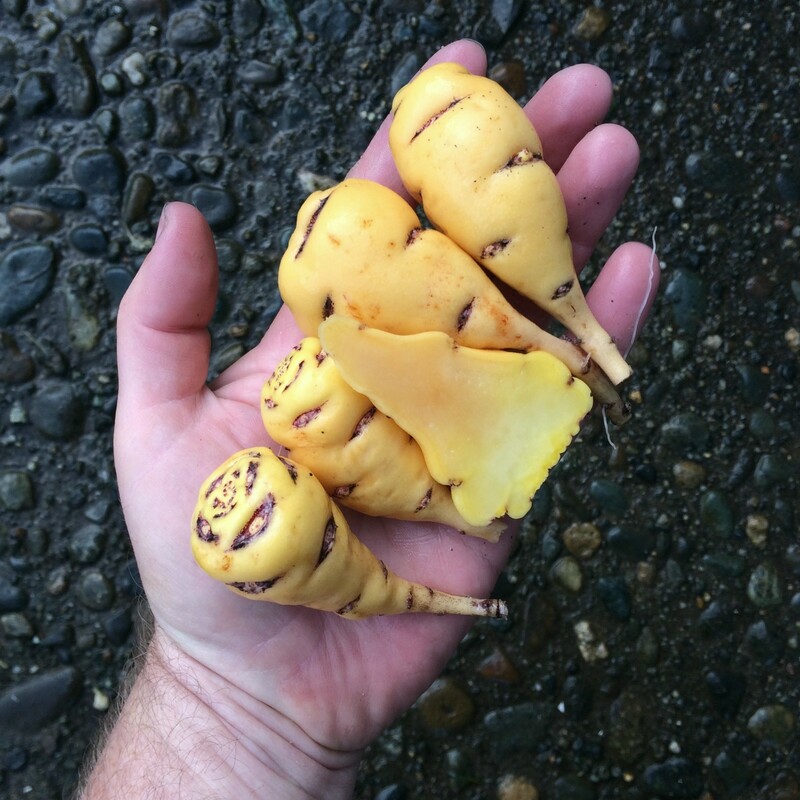 Tubers can grow as long as six inches, but most are in the two to four inch range. The tubers have good dormancy. Although it is a fall flowering variety, it is one of the earlier ones, starting here around mid-October. 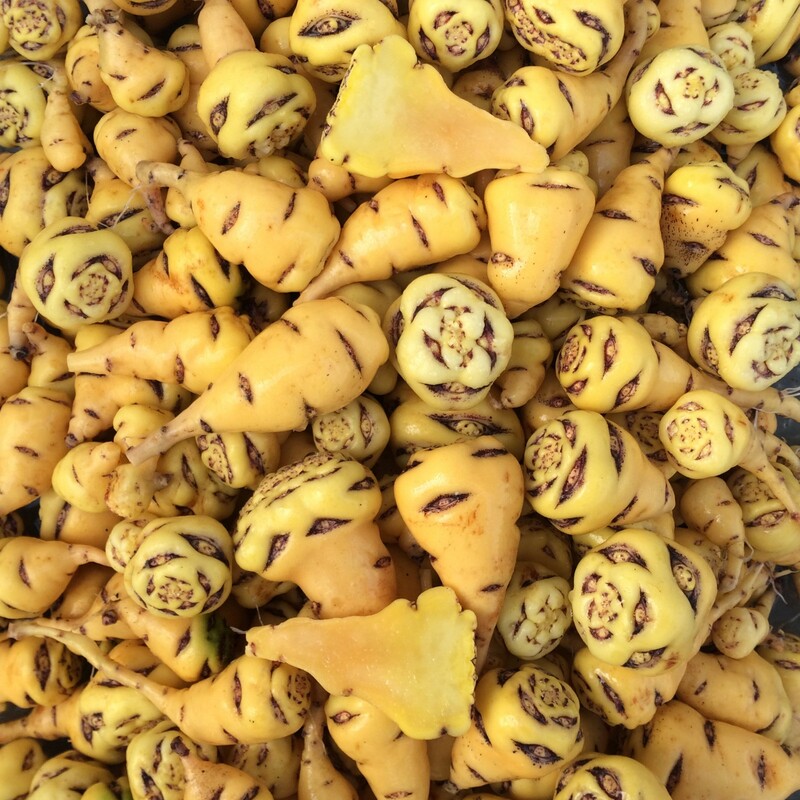 You will receive the stated number of tubers, packaged in plastic bag with damp peat. Seeds are open pollinated. Because mashua is a polyploid hybrid, the seeds will not grow true to type. They are suitable for use in breeding or conservation efforts and could be used to select varieties similar to the parent type.